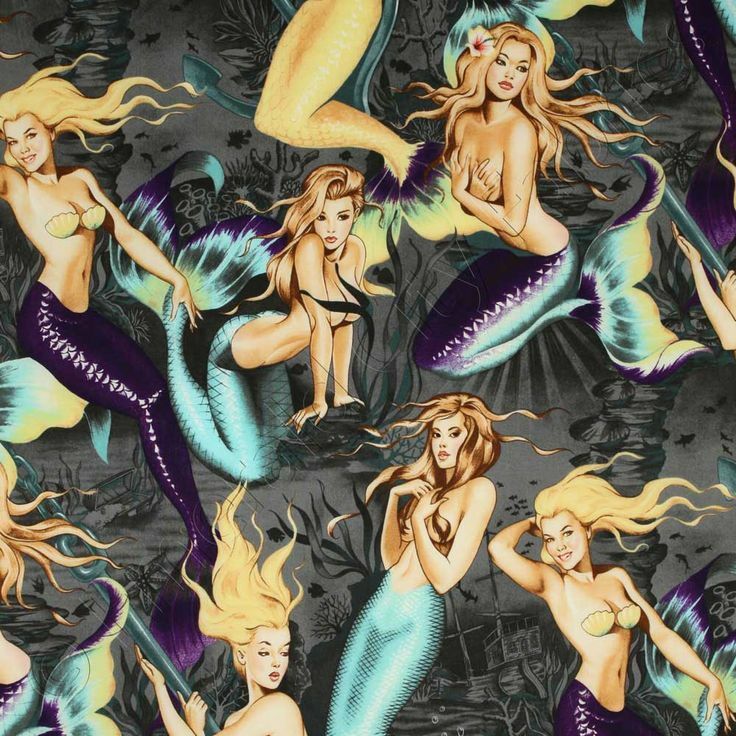 Several months ago - possibly even late last year - I saw a mermaid print fabric online, that I thought would be wonderful in a casual wear dress. I googled it and found it came in 3 different colour ways, and loved the darkest version. Finding yardage (not a half yard piece) was trickier than I expected, but I found it at Never Enough Fabric in California. I got great customer service & communication from them too. Not quite as subtle as I'd thought, but I'm still going to use it, and carefully place the bodice pieces on the yardage.